Pretty smoove to already earn ALL the Missions stamps, huh? Do you like that new stamps just randomly show up? How long do you think Club Penguin will be able to continue to add more? Let me know what you think! VERY COOL GAME - Solipskier! Thats so cool! I cant wait to earn more stamps!! Yay! New stamps! I saw them 6 minutes before this post, I was going to warn you!!! Im personally fine with it. I think they are going to keep on adding new stamps until they run out of things to make stamps of. The only reason they wouldn't would be because there would be a bug or prob with peeps computers loading the stamps and stuff. Sweet New Stamps! I was waiting for these! Super Cool! Now I have some work to do!!! OMG I got to try more! Also, my membership expired and the next second, I'm a member, is this a bug? i liked how the randomly showed up! IM SO GLAD THAT THERE IS NEW STAMPS I HAVE NOT SEEN ONE PLRSON WITH ALL 158 STAMP.S HOW MANY STAMPS DO U HAVE? :D I think it''l continue forever!...Till CP is overated and it's off the PC or Public PC ya thats sad. I love your site and have been using it since i have joined Club Penguin a year ago. 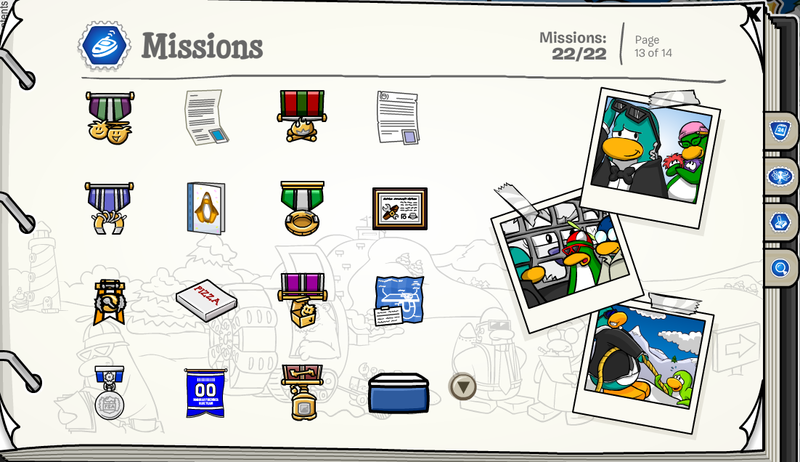 I would love to be buddies with you on CP. Do you want to meet me on Club Penguin? Me neither. I'm so excited! :D Cool! The more stamps, the better. Hi Mimo. I've seen that you have a 22 stamp picture for the missions, correct? Well, I've done all the mission myself but do not have that picture. Have I missed an award? I know what you mean, I only just found out when I checked here too. Club Penguin should tell us. What about you Mimo? 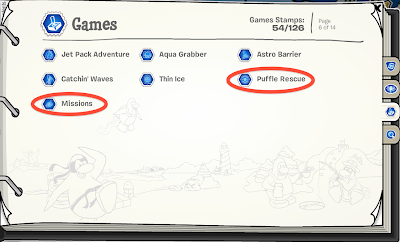 Will there be a walkthrough on how to earn the Puffle Rescue stamps, at least the non-member ones? i like how they do it random,i had no idea the new stamps were out yesterday(monday)intill i was on a chat and my freind said im going to earn mission stamps bye i was like wahhhhh! me to lol,how to you tpye in bold?? i love the new stamps but then i turned the page after the pins and i realized that there was no question mark I wonder what is coming now. Rockhopper is closer!! Rockhopper is Closer!! look, you can see his boat! I didn't notice the page, but I was editing my stamp book yesterday and I put 1 of my mission reward thingys on there. This is awesome! Woot! It looks like this party is going to have the best decorations! Rockhopper sure knows how to party! do you have every thing like extra pirzes? i dont know i kinda like random new stamps it gets me exited,mabey at the new room near the town with the notice board it will tell us? Pst! Hey polarbrownie. Don't do all caps. And also we don't know when his next party will be. Probably not for awhile but keep checking Mimos twitter because every now and then he does a quickie party. Mimo777, What Do YOU Think The Mystery Page Is? 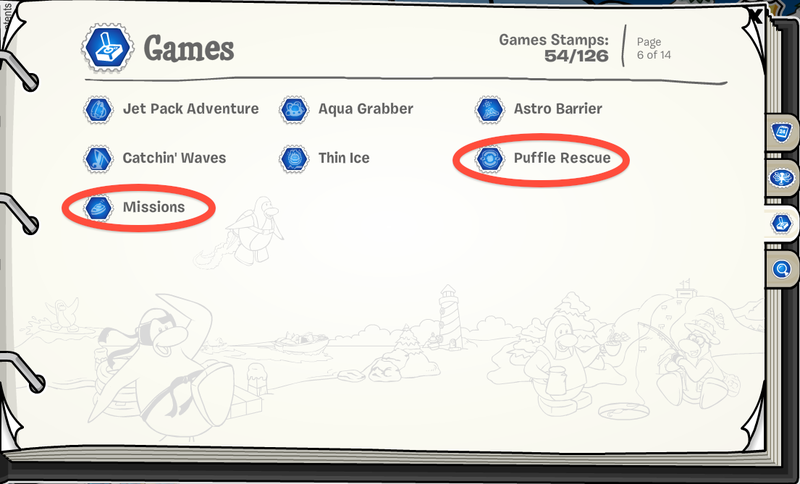 I'm a non-member and I have all puffle rescue stamps except "Snow Hero" Stamp! I'm sure I did what it wants to earn it. Did you guys earn it? Ifi you are certain you got all the medals and special awards, check the number on your top right. It says 21/22 for me, even tho I hace 22 medal/letters/gifts. Yours might also be a glitch.